The Beveridge Family Foundation, Inc. was founded as a trust in 1947 as The Frank Stanley Beveridge Foundation. It was incorporated in 1956 as The Frank Stanley Beveridge Foundation, Inc., the year of Mr. Beveridge's death. 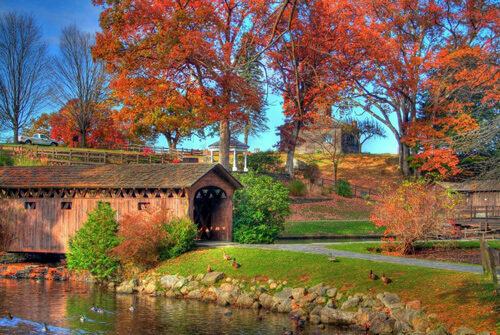 The Foundation's first endeavor was in 1949 to support financially The Stanley Park of Westfield, Inc. located in Westfield, Massachusetts. Beginning as 20 acres, the Park now encompasses over 300 acres, including formal gardens, a carillon tower, trails, sports fields and beautiful nature areas. The Beveridge Family Foundation, Inc. was established in 2001 with a restricted gift from The Frank Stanley Beveridge Foundation, Inc. The purpose of The Beveridge Family Foundation, Inc. was to provide financial support to The Stanley Park of Westfield, Inc. in perpetuity. In July 2008, The Frank Stanley Beveridge Foundation, Inc. was merged into The Beveridge Family Foundation, Inc., resulting in the single foundation with a restricted gift for the financial benefit of The Stanley Park, Inc.
Today, The Beveridge Family Foundation, Inc. provides grant support for a variety of charitable causes on an annual basis.